Playing Board Games is Healthy - Welcome to Conscious Nutrition by Heather Fleming. and were recently featured on Fox news. 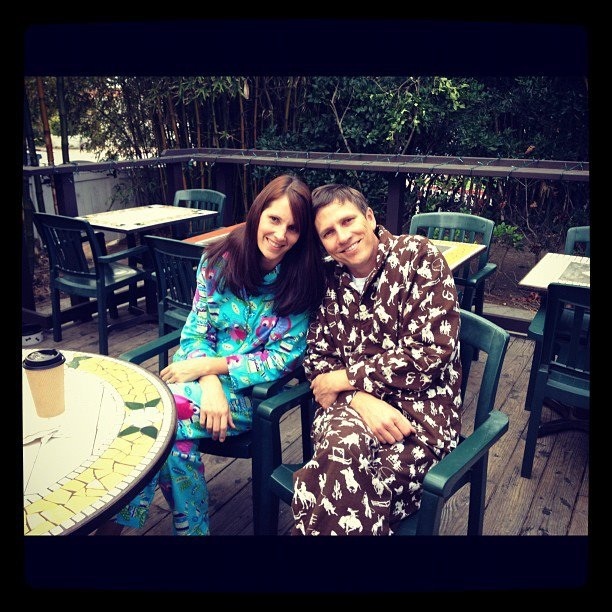 He is wearing pajamas for the entire month of January aka “Pajamuary” to raise awareness to dust off your board games, turn off the T.V., put down your cell phones, and connect with your family and friends. As a good friend I was blessed to be able to show up @ 6 am in my jammies and be a part of the festivities. Do you notice that you are always looking for your cell phone, checking your messages on Facebook, and searching for entertainment on YouTube? This is linked to your brain releasing chemicals, similar to those released for those people with a gambling addiction. When you receive positive feedback from communication through texting or social media it makes you want to go back for more. Technology is a consistent part of our daily lives and it has changed how we interact with others dramatically.